Click on a heading below to expand the relevant help content for the Communication page. 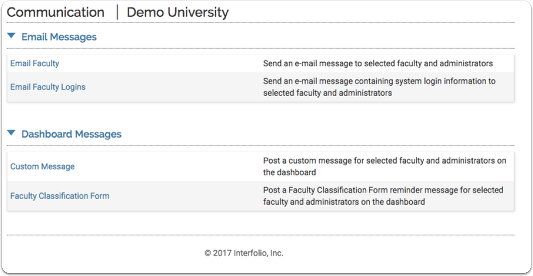 Administrators can easily send e-mail messages to faculty members and other administrators through FACULTY180 from the Communication screen. 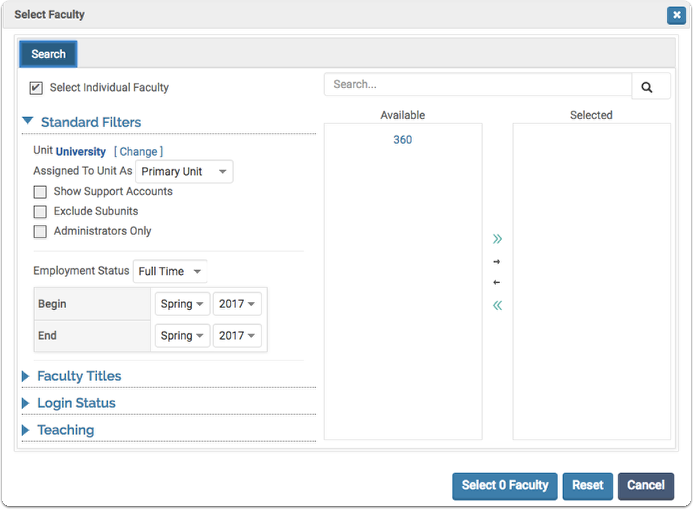 For institutions that do not use single sign-on, administrators can also manage faculty logins for FACULTY180from the Communication screen. Click Email Faculty in the Email Messages section. The Email Faculty dialog box opens. Select the message recipients. Various filter options, including unit and employment status, can be used to select the recipients for the message. 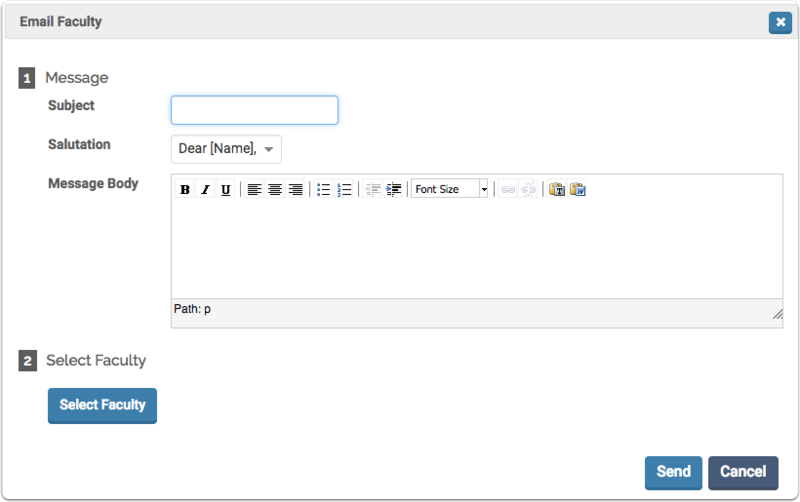 In the Message section, type the subject and the message body. A salutation can also be selected for the message. When you are finished, click Send. The message is sent to the selected recipients. On the Admin menu, click Communication. The Communication screen displays. Click Email Faculty Logins in the Email Messages section. 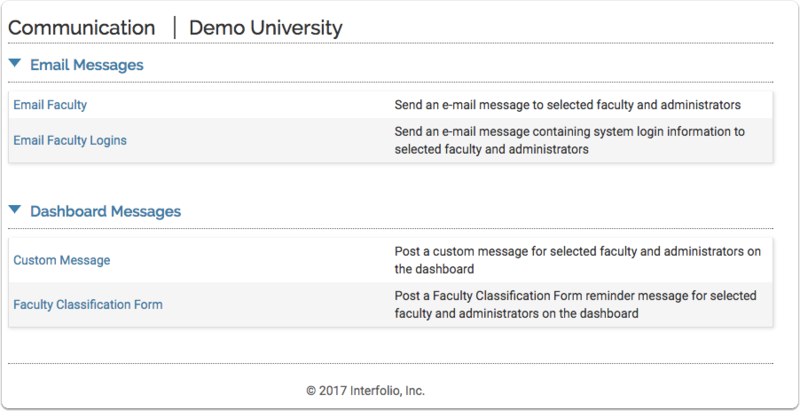 The Email Faculty Logins dialog box opens. Select the faculty/administrators who need login information for FACULTY180. Various filter options, including unit and employment status, can be used to select the recipients for the message.